Memories are hazy; the telepathy remains the same. The keepsake blooms in the messy room of the heart. Note: This is a triolet. It is a French poetry form, dating back to the 13th century. A triolet is a poetry form that consists of 8 lines. Within a triolet, the 1st, 4th and 7th lines repeat and the 2nd and 8th lines repeat as well. The rhyme sequence of a triolet is: ABaAabAB (capital letters represent the repeated lines). Sooooo - gorgeous. What an absolutely lovely poem. Lovely. Mine is a also a 'Messy room the heart. ' Will revisit when I am in a nostalgic mood. Great writing. Very nice, Purba. Rumi's poetry also ignites my flame. This rings so true!! Loved this beautiful expression, Purba! True..the heart is indeed a messy room! 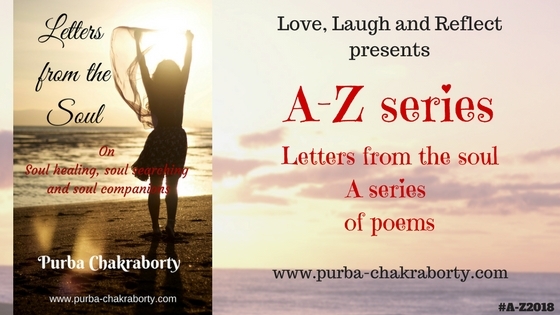 A short and lovely poem Purba. Loved it. I like to read Rumi too. love these lines "Memories are hazy; the telepathy remains the same. The way twin flames communicate is a mystic art"
Beautiful triolet. Loved reading it. Very nicely done. This is so lovely Purba! I liked the feel of this form of poetry and you have done justice :) ps, I'm a sucker for rhymes, whatever may be the rhyme scheme!